Hamish was called to the Bar in May 2015.He was admitted as a solicitor in the NSW Supreme Court in July 2011and the High Court of Australia in August 2011. He holds a Bachelor of Laws degree with First Class Honours from the University of Sydney. Prior to coming to the bar, he worked asa solicitor with Henry Davis York and as a Senior Policy Advisor with the NSW Government. 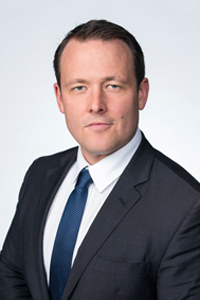 He has experience in a range of Courts and Tribunals, including the Supreme Court of New South Wales (and Court of Appeal), and the District and Local Courts of New South Wales, NCAT, and the Federal Court of Australia. Hamish has expertise in construction matters and general contractual disputes. He also appears in tenancy, planning, insurance, and corporations law matters. Hamish accepts direct briefs from corporate in-house counsel and government clients. Hamish appears routinely in matters in the Supreme Court Equity Division, including family provision and probate claims. Hamish also appears regularly in the Family Court and Federal Circuit Court, and has appeared in the Family Court of Appeal. He is regularly involved in final and interim hearings in both property and parenting matters. Hamish has experience working within the public sector and advises on administrative law matters.